Paradise Air Inc is proud to serve the Southlake community! With a population of nearly 27,000 people, the affluent suburban city of Southlake is found within portions of Denton and Tarrant Counties. It was incorporated in 1956, but its major growth was not experienced until the DFW International Airport was completed in the 1970s. Southlake is home to Gateway Church, which a multi-campus mega church that brings in more than 20,000 participants each week. Residents of Southlake enjoy mild to warm winter months, but summers can be brutal. Due to this community’s location in the Sun Belt, the summer months are quite hot and very humid. 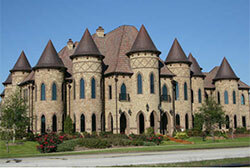 Southlake is home to a variety of things to see and do. Southlake Town Square is one of the most popular shopping centers in the area, and many visitors enjoy strolling through it to stumble across specialty shops and restaurants. The city is home to more than 20 different spas and salons if relaxation is more of your vacationing style, and nature enthusiasts often enjoy a trip to the Bob Jones Nature Center. Southlake is also home to a range of festivals and events, including Southlake Oktoberfest, Stars and Stripes 4th of July Celebration, and Art in the Square.